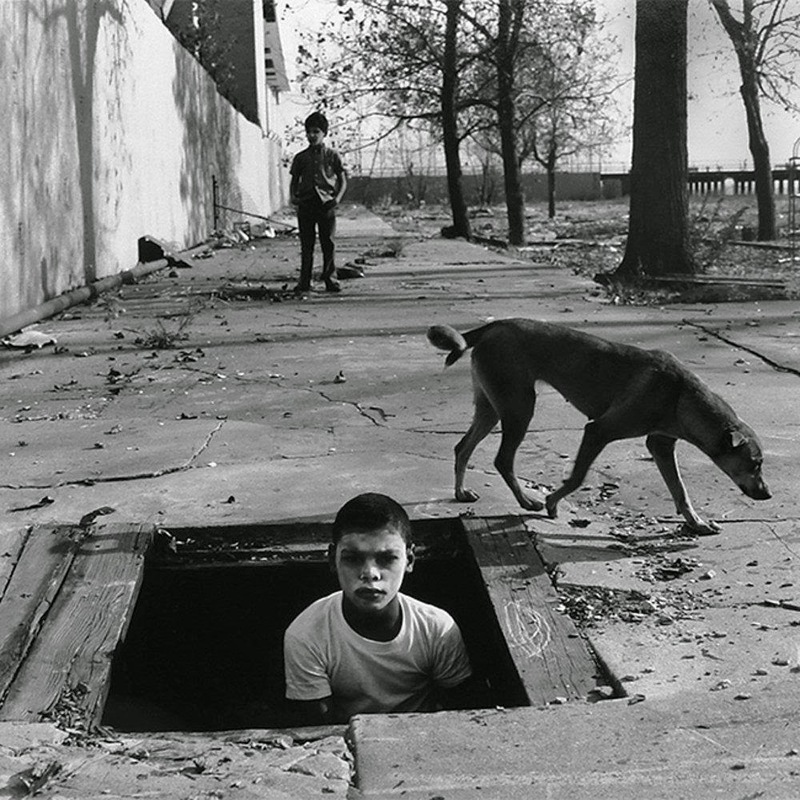 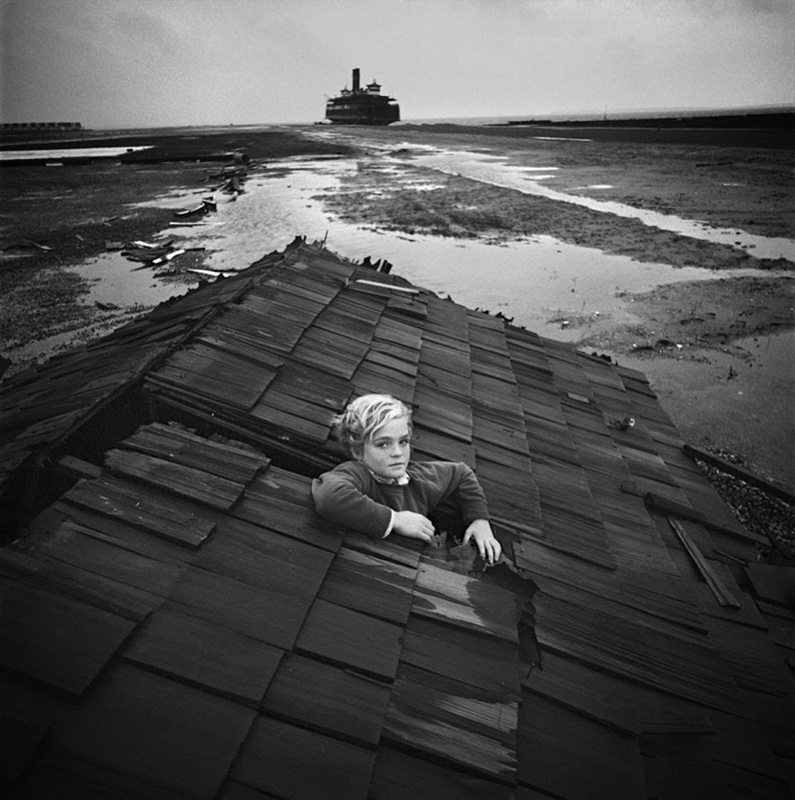 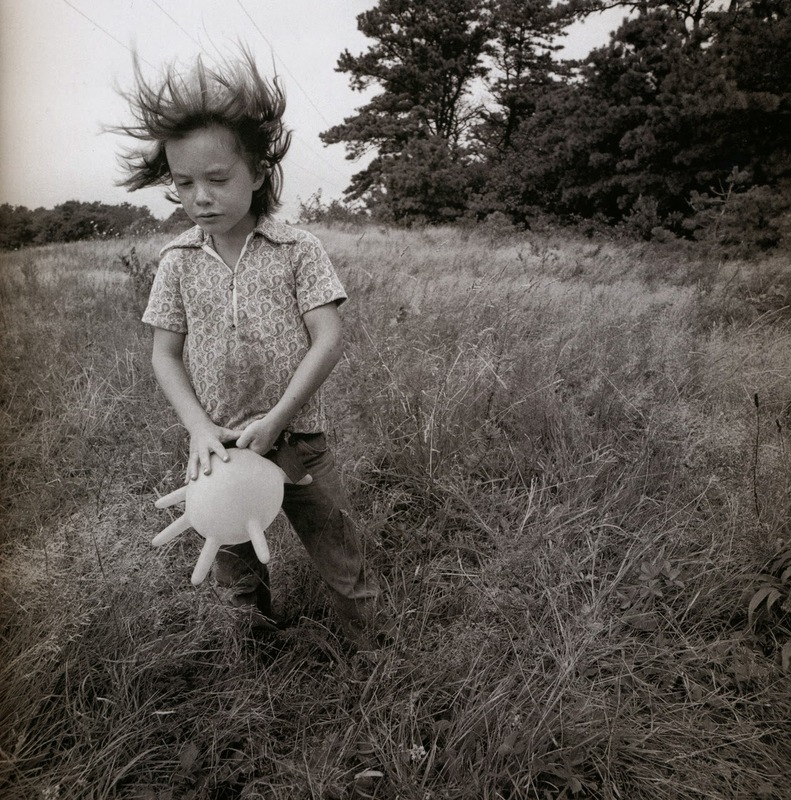 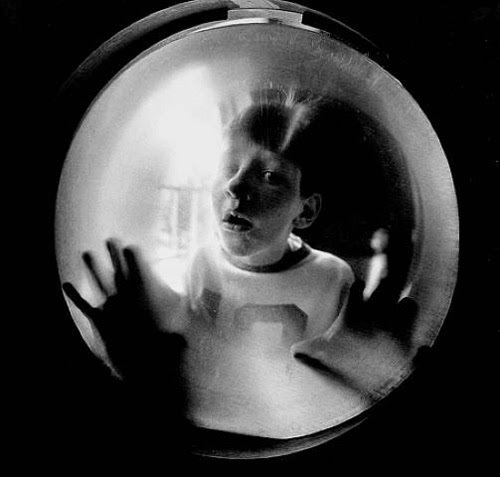 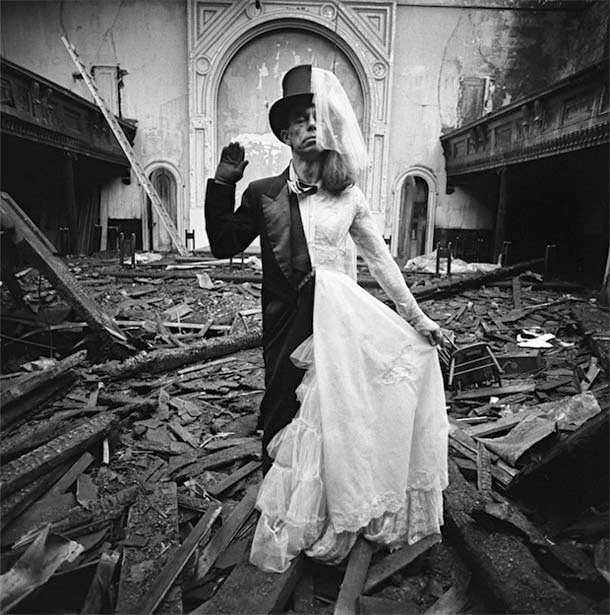 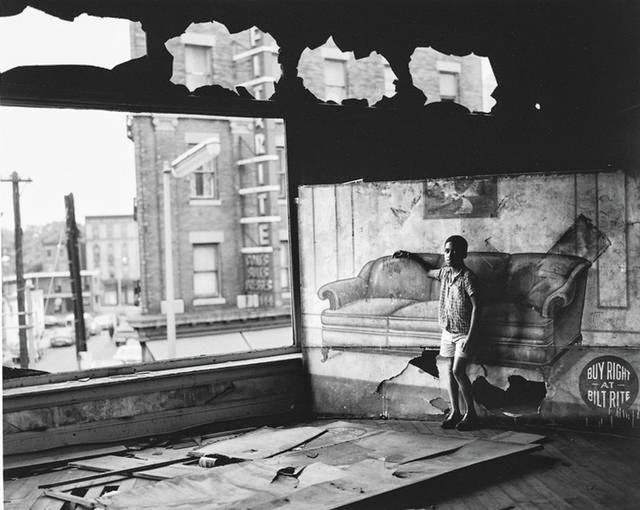 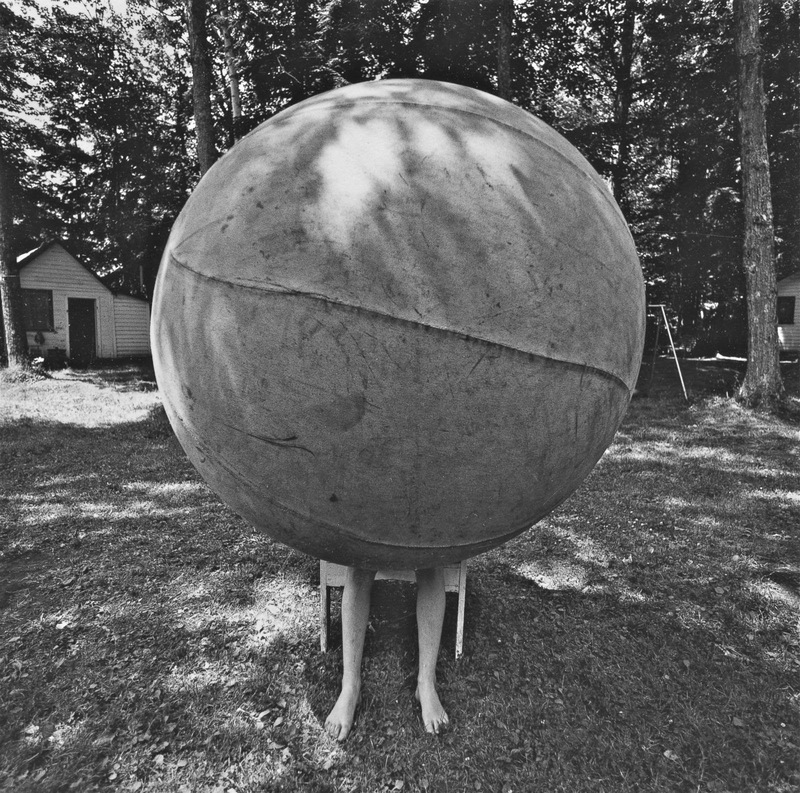 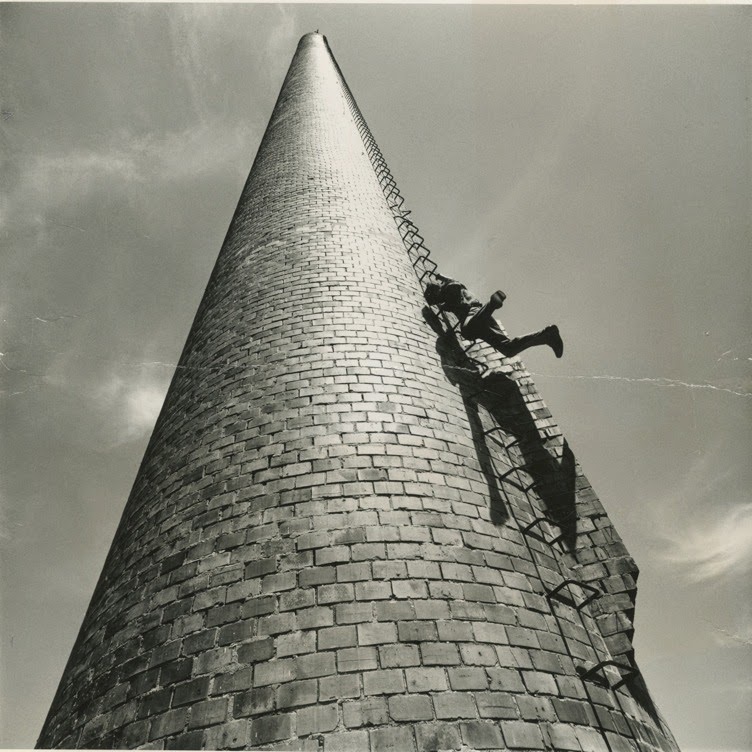 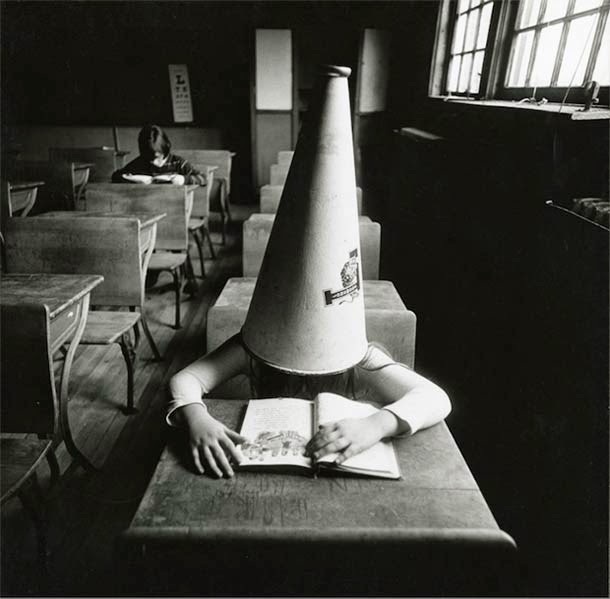 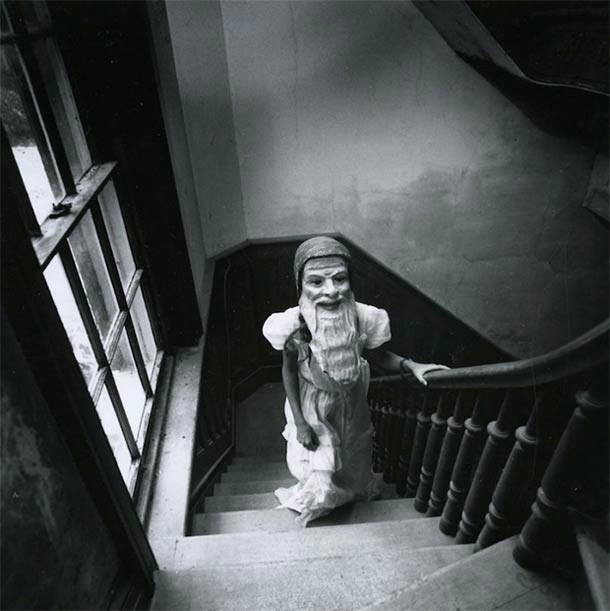 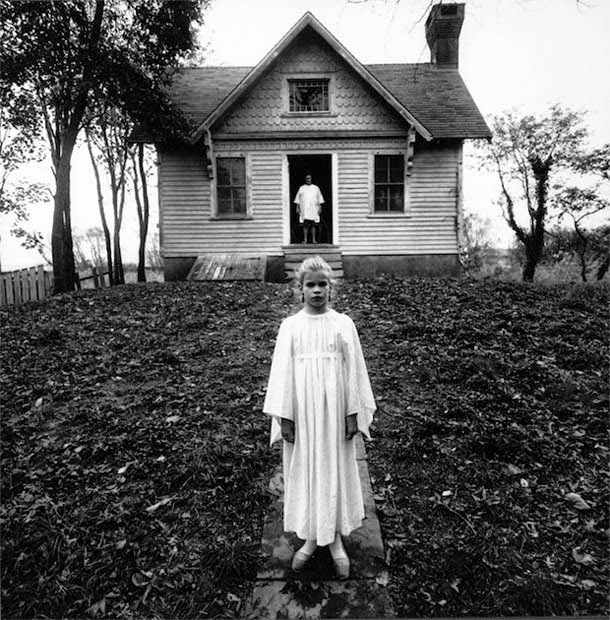 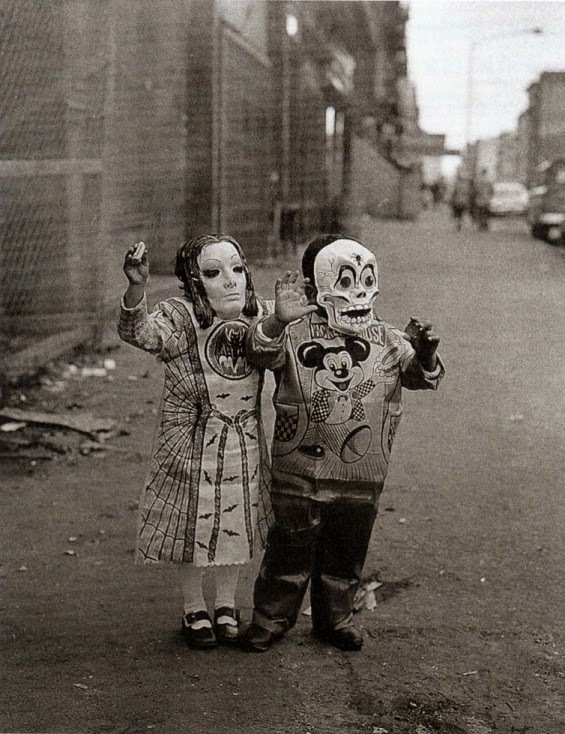 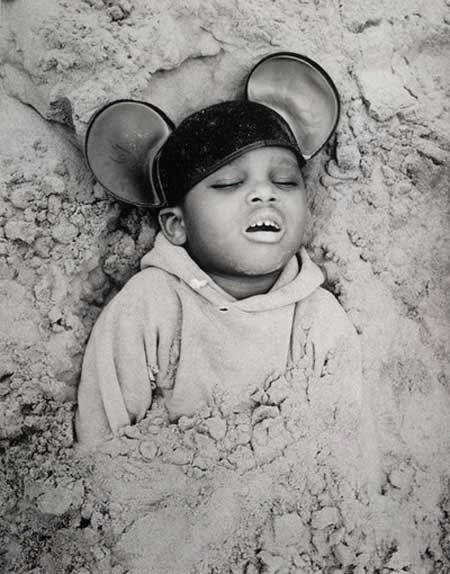 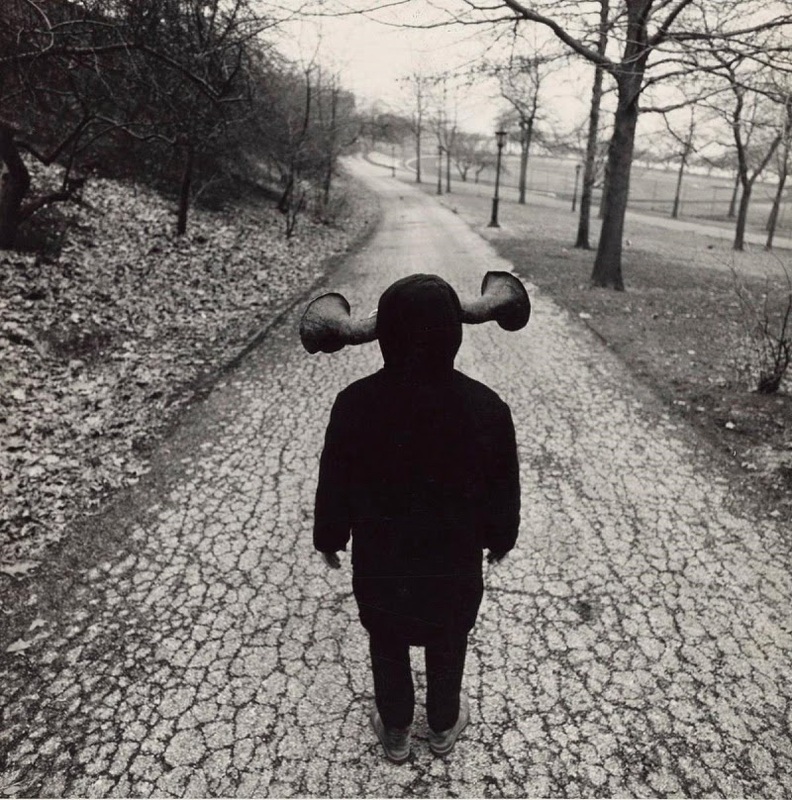 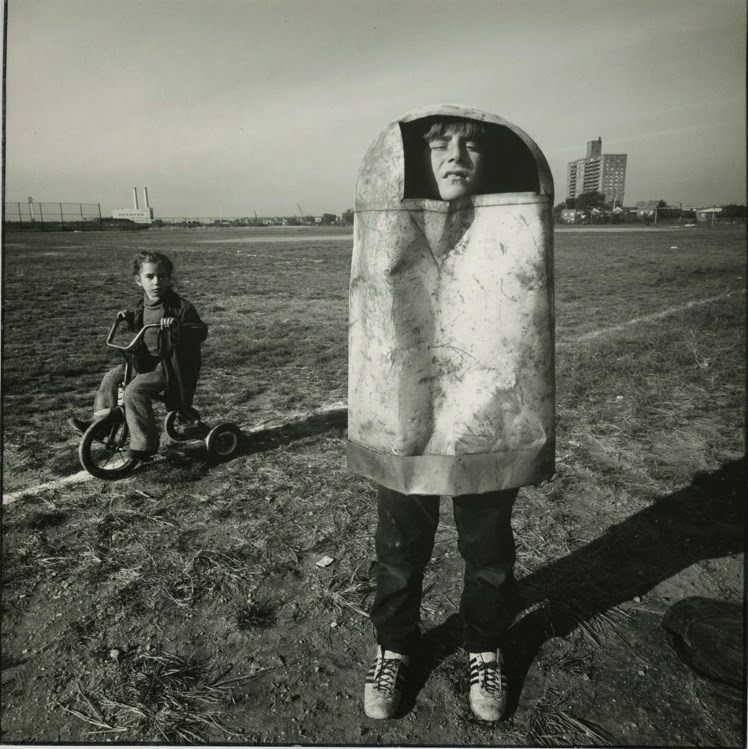 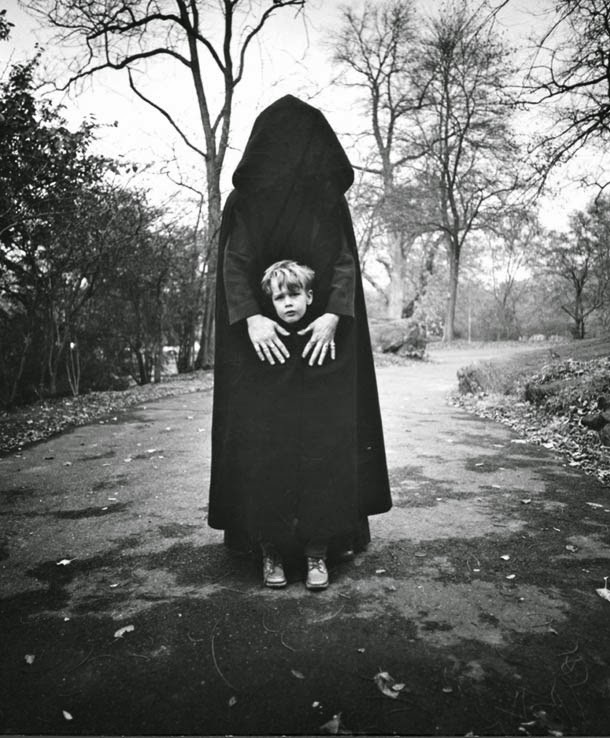 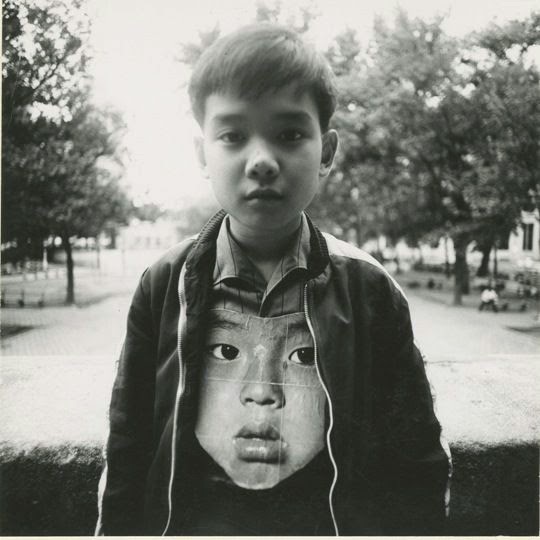 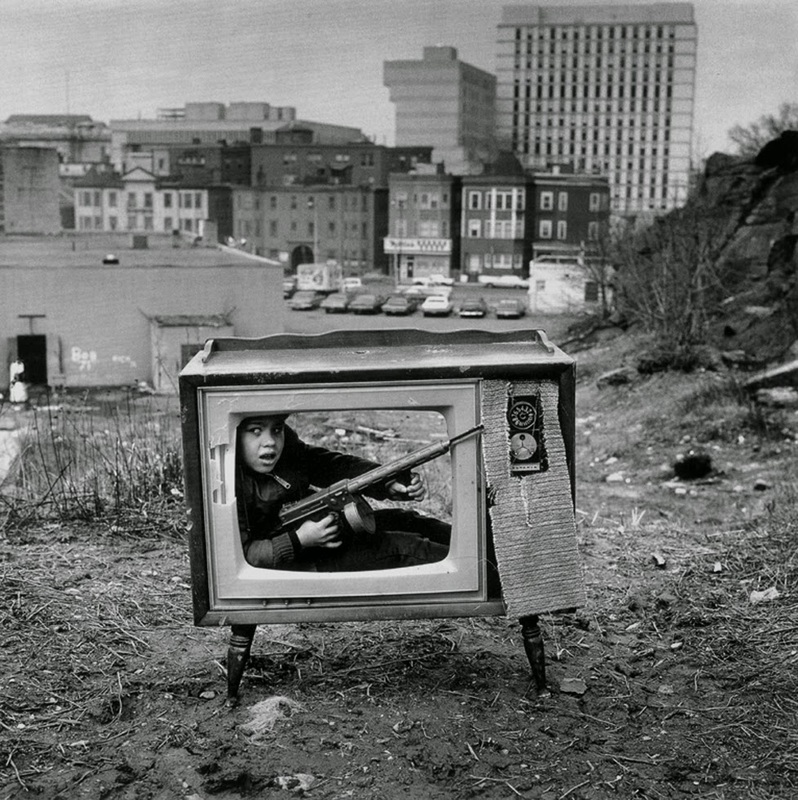 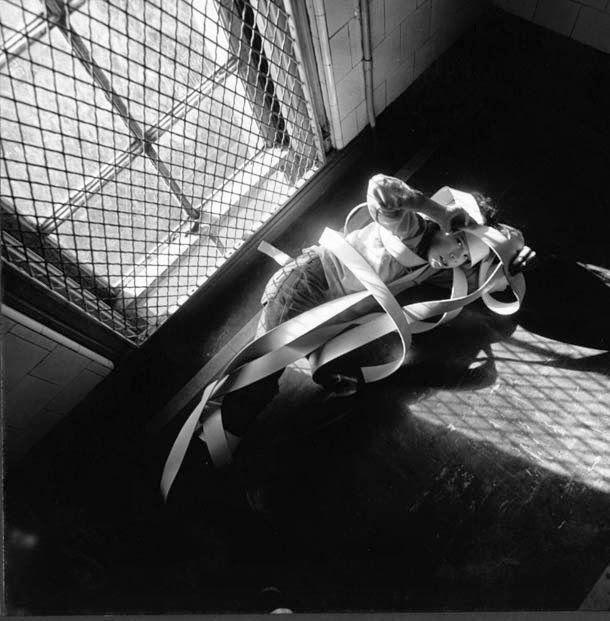 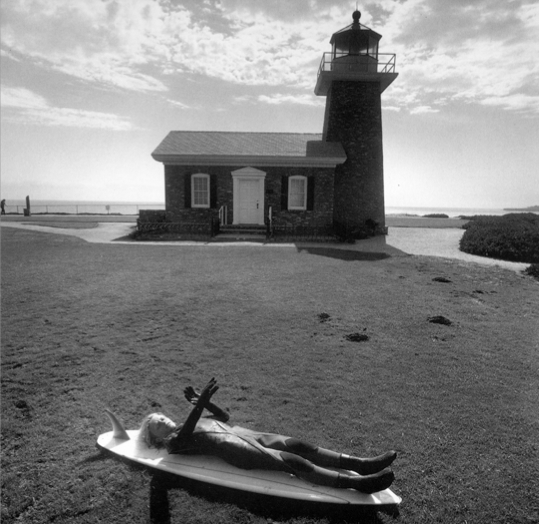 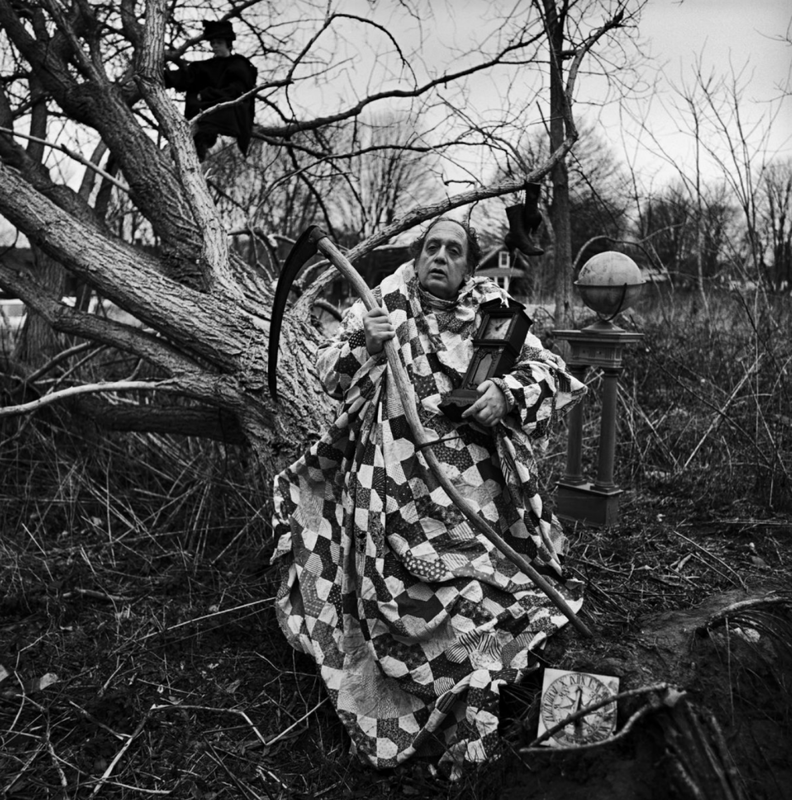 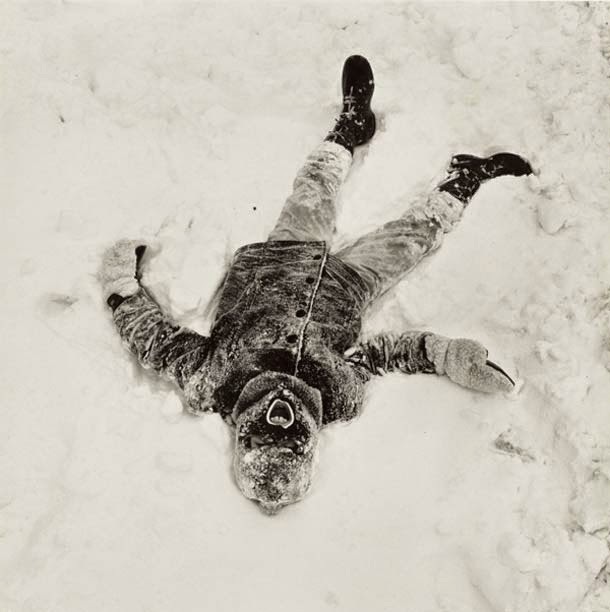 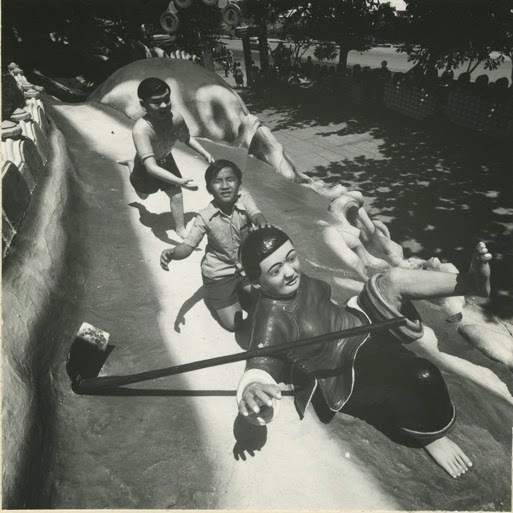 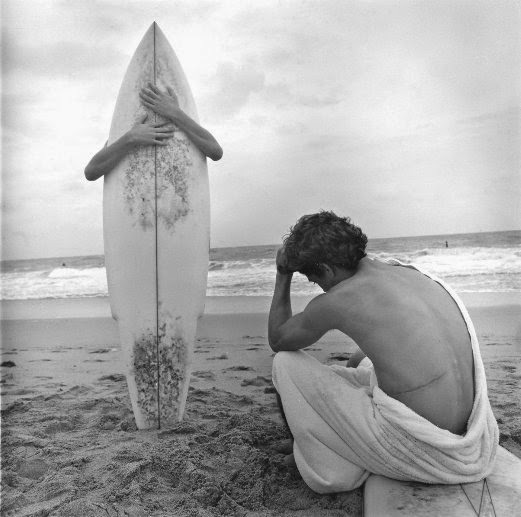 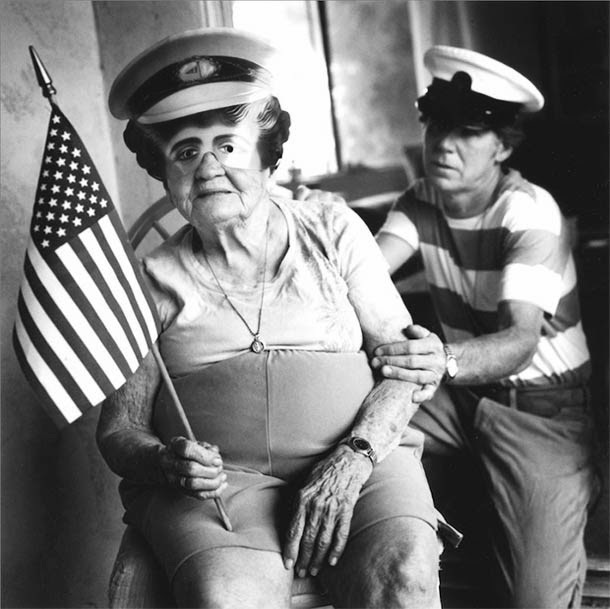 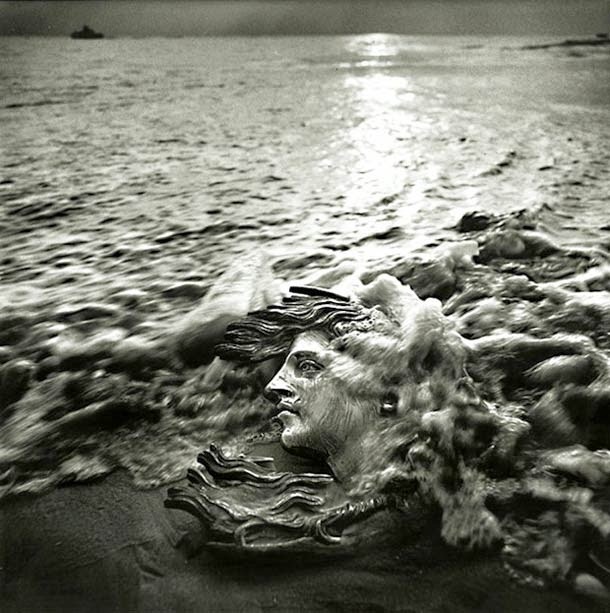 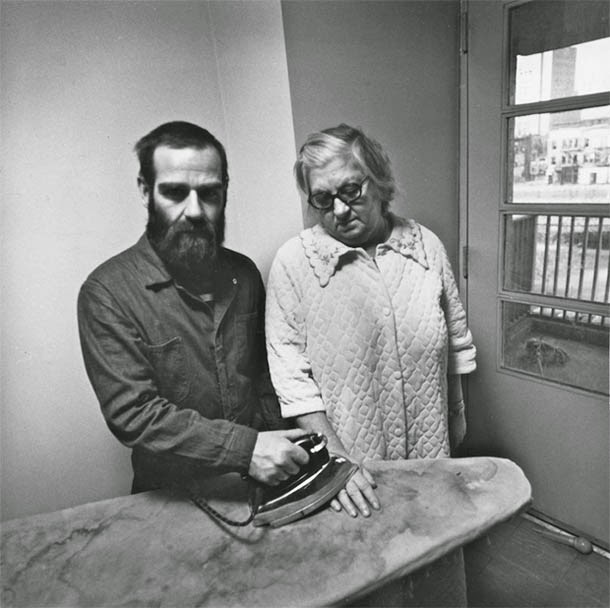 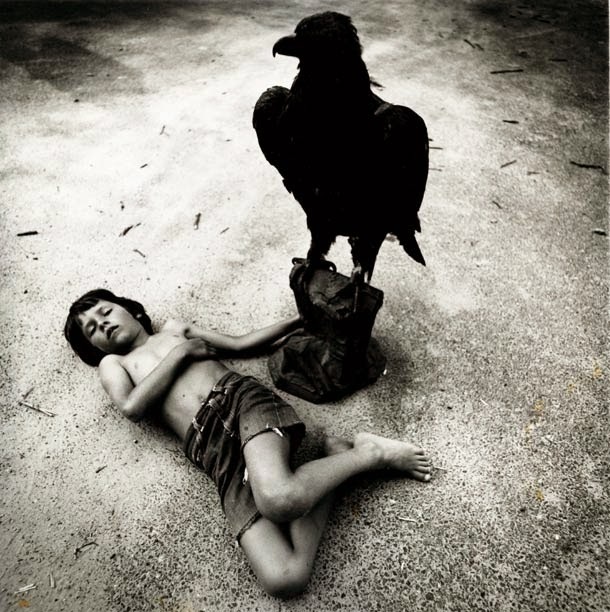 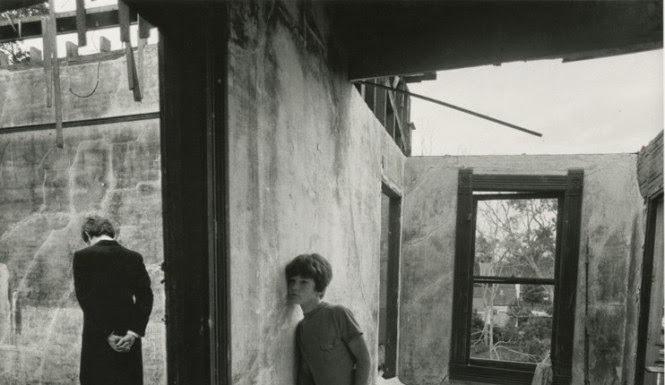 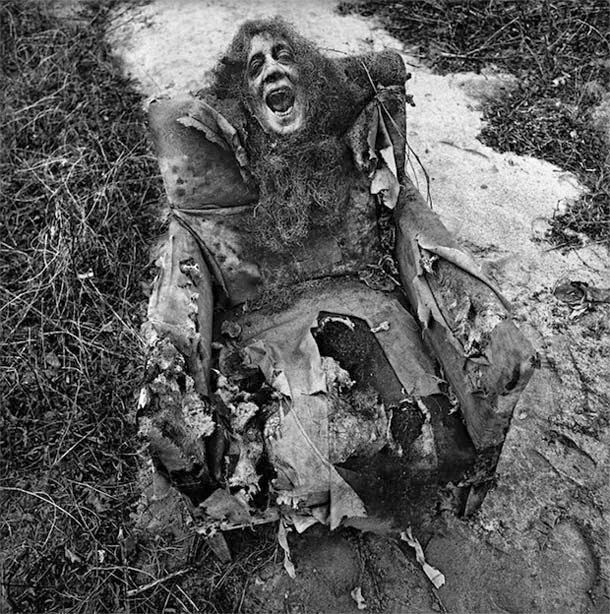 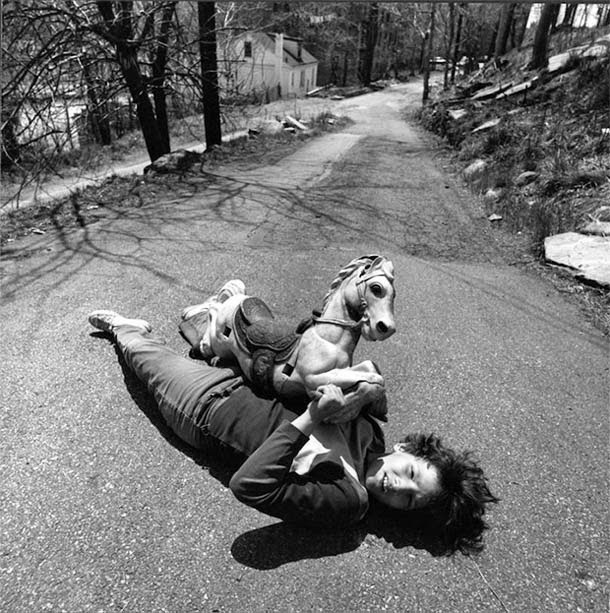 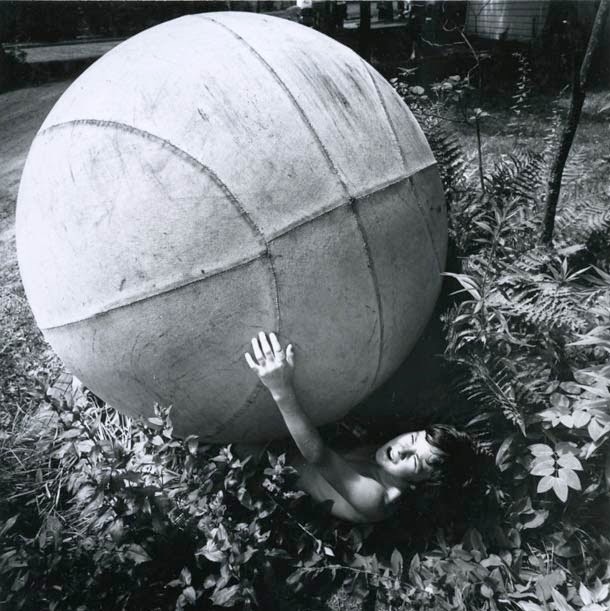 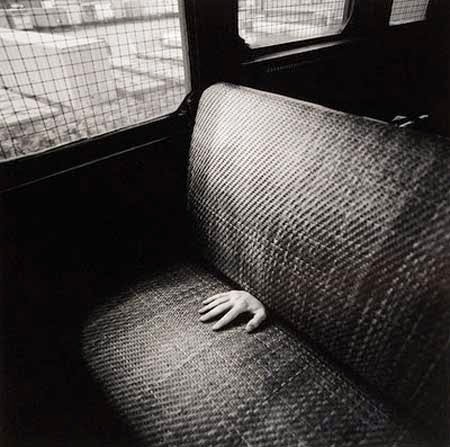 Arthur Tress (b. 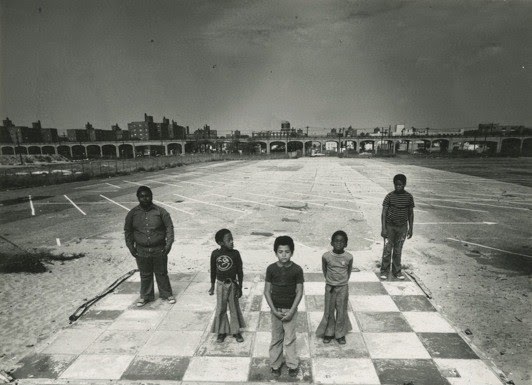 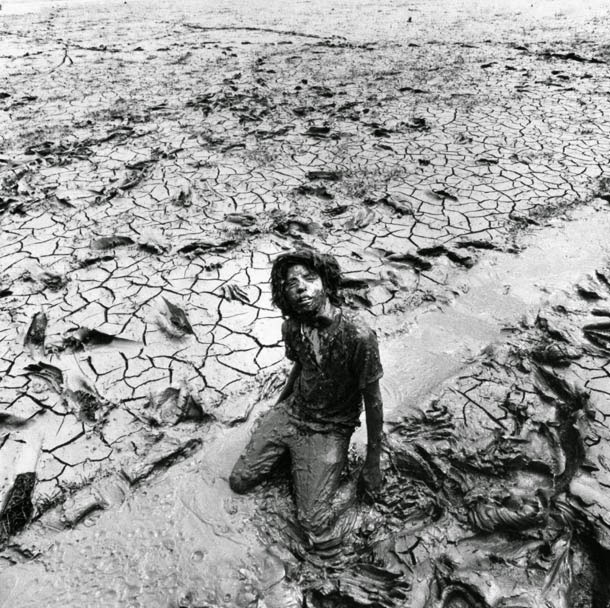 1940) is a Brooklyn-born photographer known for his environmental and ethnographical photography, inspired by his travel to Africa and Asia and his professional assignments for the US Government in which he focused on the impact of pollution. 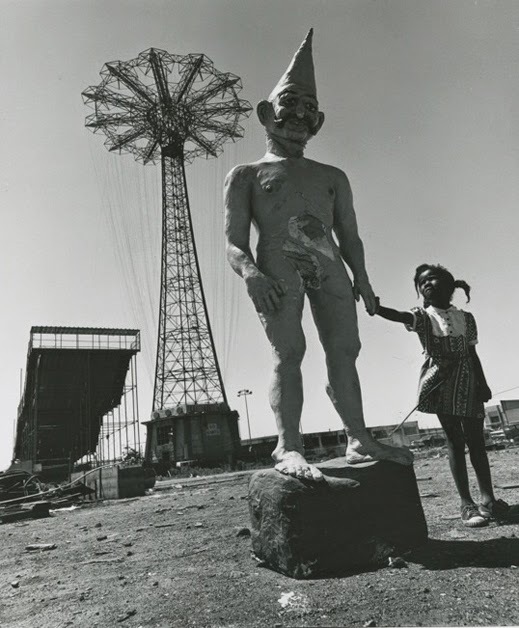 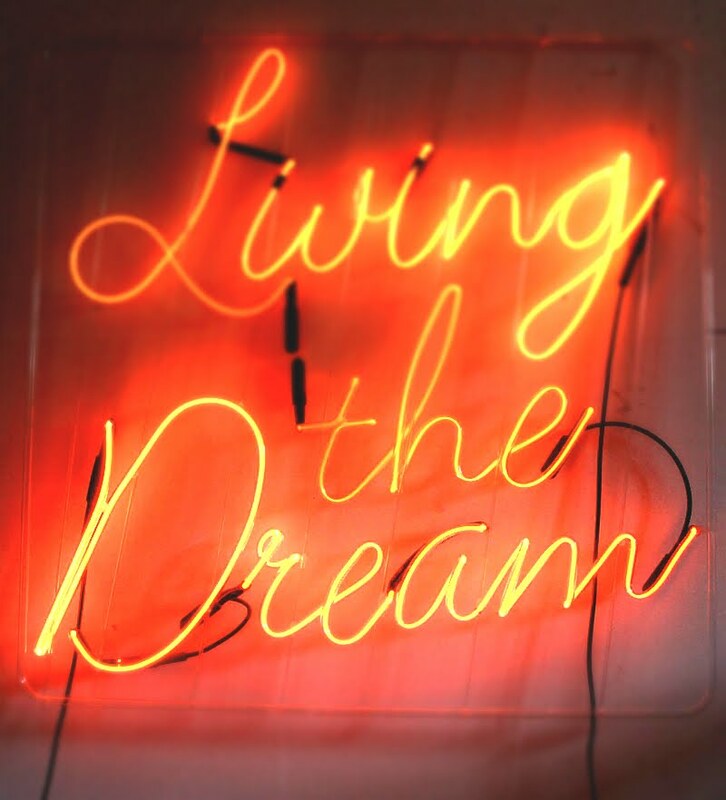 Tress' early work also focused on his New York home, particularly the surreal urban fringes, which included the abandoned amusement parks and fairgrounds of Coney Island and the waterfront area of Manhattan. 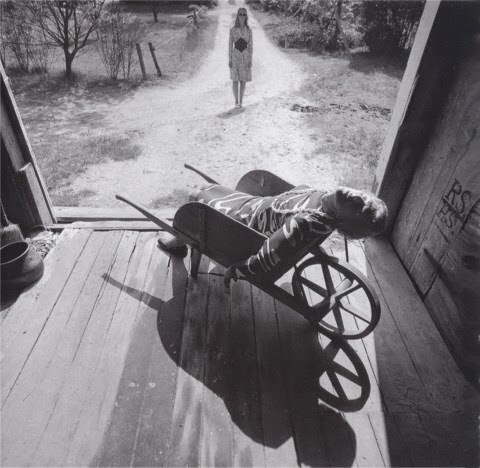 During this period of his work, Tress used classic documentary-style reportage photography, later evolving into a more magic realism approach involving the use of directorial fabrication - his hallmark style. 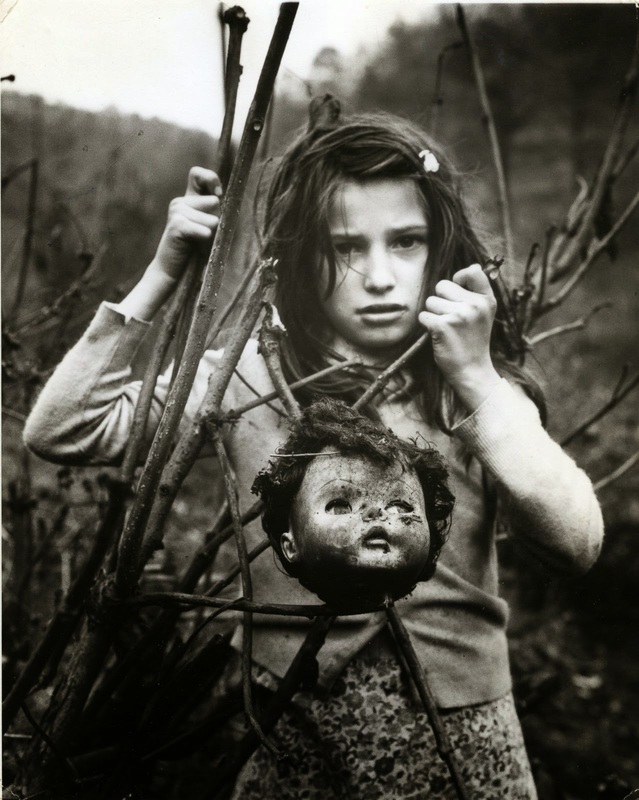 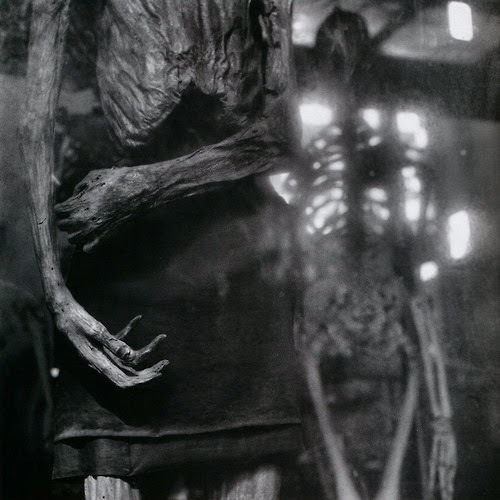 In the late 1960s Tress began to concentrate on the more surreal and disturbing images for which he is best known. 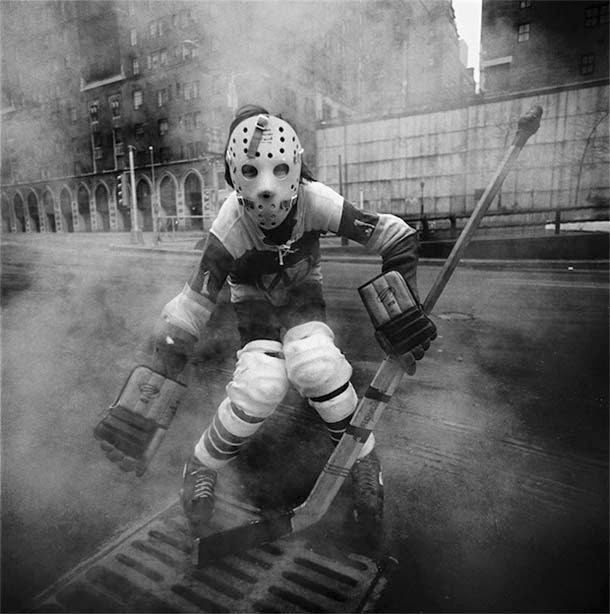 Tress used subconscious-picking and staged scenarios to create a portfolio of nightmarish images which capture both the mental imagery and apocalyptic wonderland of the urban environment as seen through his distorting lens. 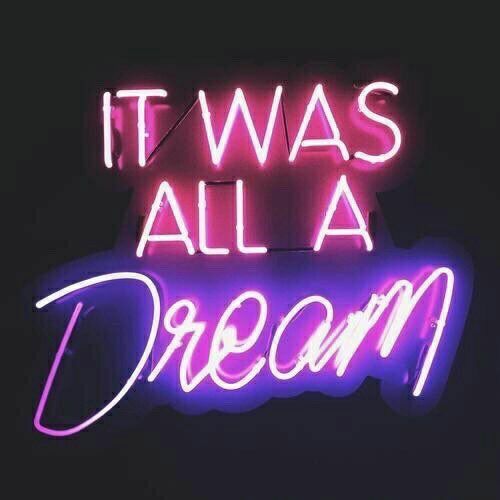 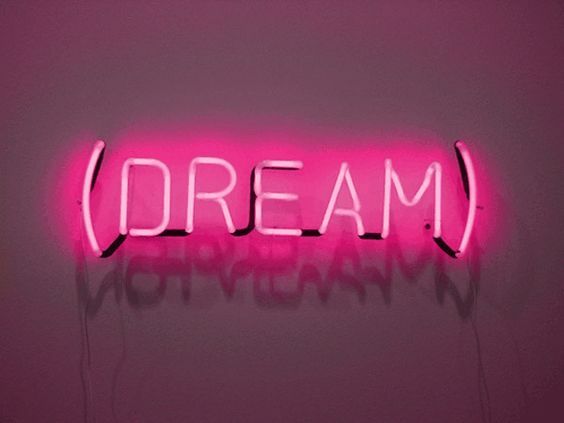 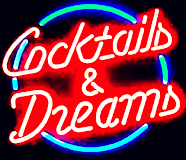 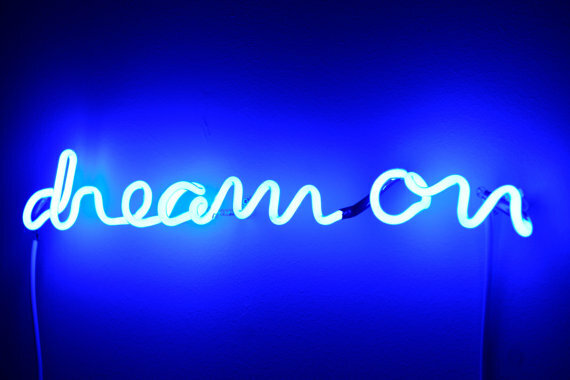 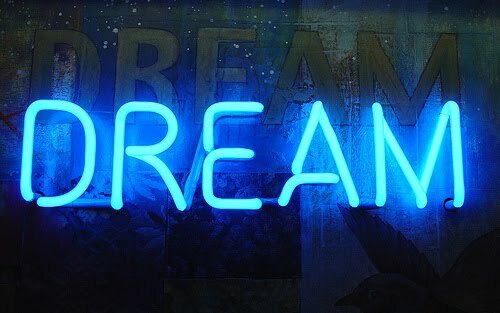 Tress turned his attention to nightmare images after he was contacted by a childhood educator who asked him to assist with a workshop themed around children's dreams and nightmares. 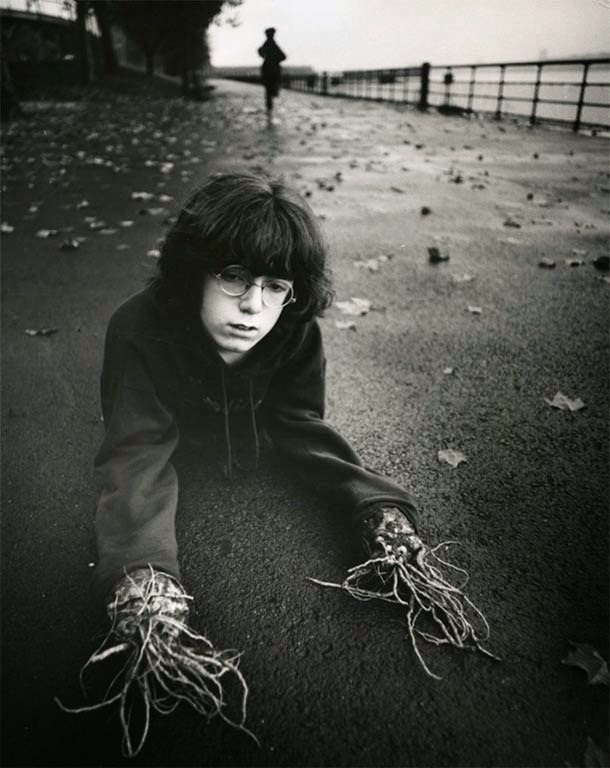 This sparked a 20-year interest in the topic, producing a range of startlingly dark staged photographs which capture the dreams and nightmares as described to Tress by the children who participated in his project. 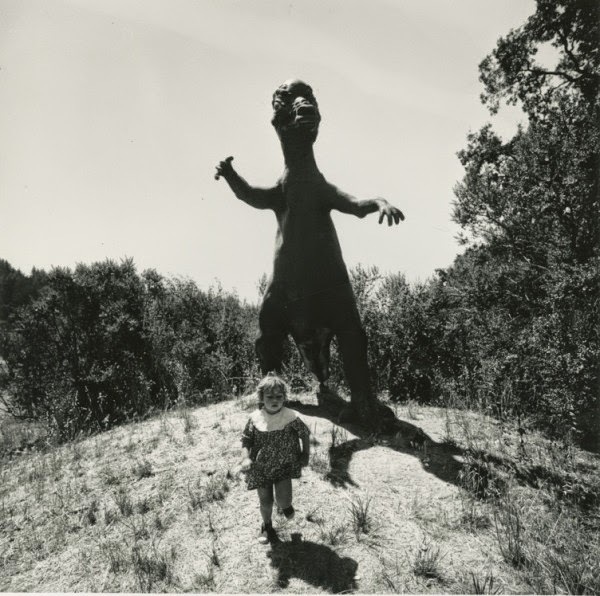 In immortalising childhood dreams and nightmares by use of staged photography, Tress was somewhat of a pioneer, with most of his contemporaries opting for the popular street photography which dominated the industry at the time. 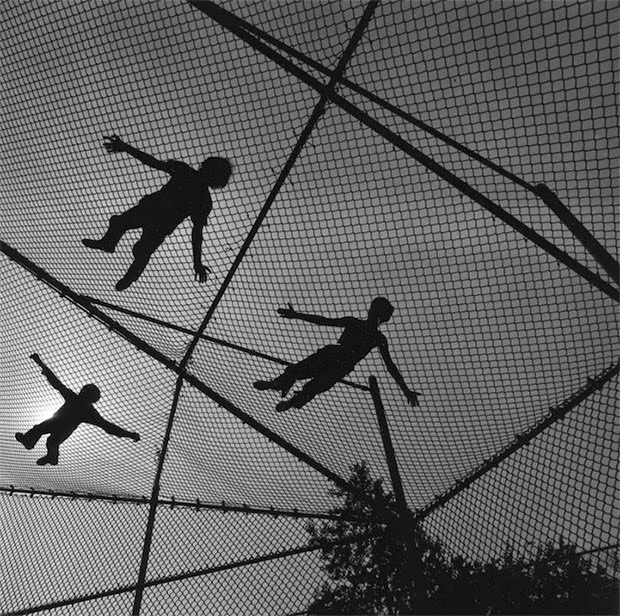 In creating a new form of visual trademark for himself, Tress was able to shatter the notion that photography is primarily a means of documenting reality - his stunning black and white images show how photography can be used to imagine and depict new realities. 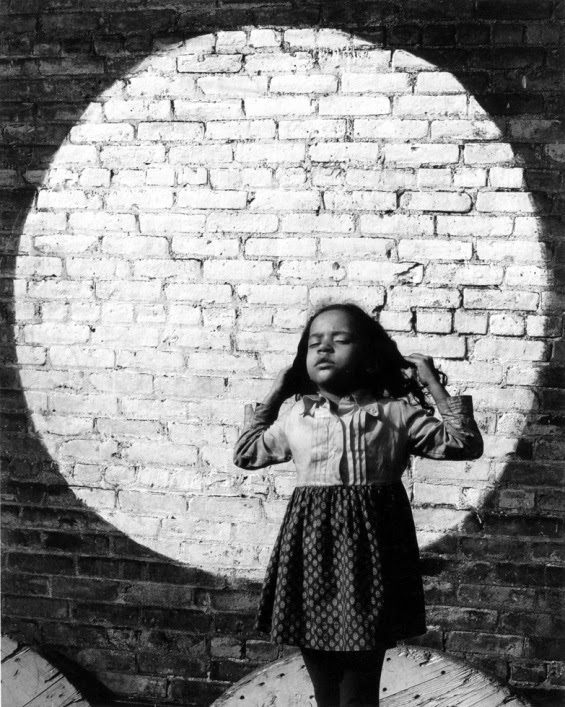 In The Enchanted Voyage, author Richard Lorenz analyses Tress' fascination with the dream-life of children as an impetus to create original works of art. 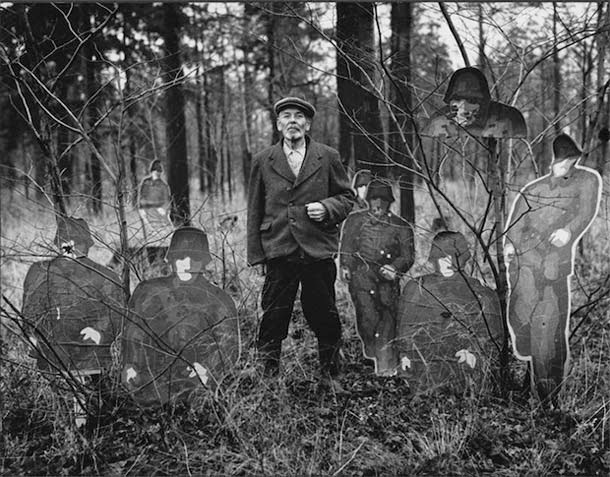 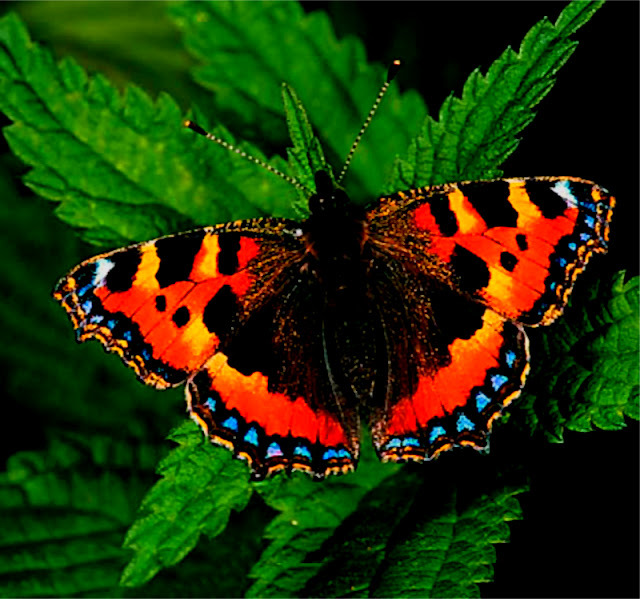 He states that Tress' photographs do what modern photography often fails to do - touch upon the hidden life of fantasy and imagination which is hungry for stimulation. 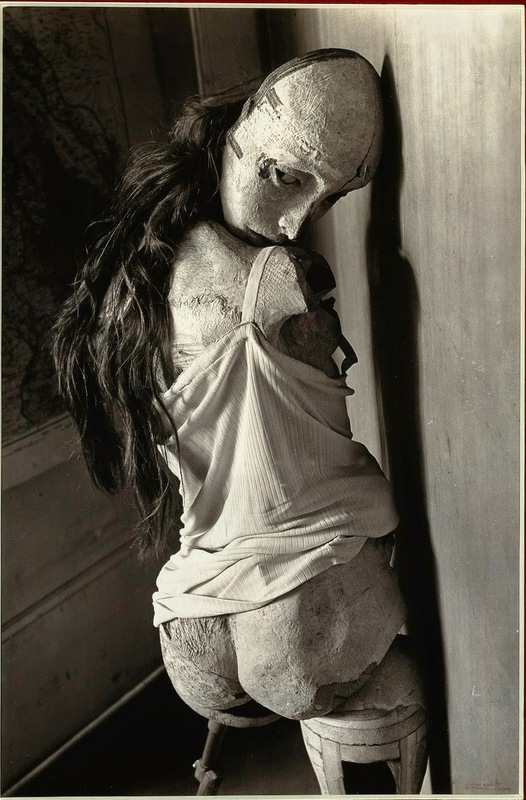 Whereas the documentary photographer supplies the viewer with facts or 'drowns in humanity' and the conservative, pictorialist or avant-garde photographer provides aesthetically correct compositions and beauty, Tress' art has the power to heal or terrify in equal measures.